Rally Racing News Leader in the USA | Rally World News Rally World News: Rally New York Brings Some High Flying Tarmac Rally Action To Rockhill, New York This Weekend. 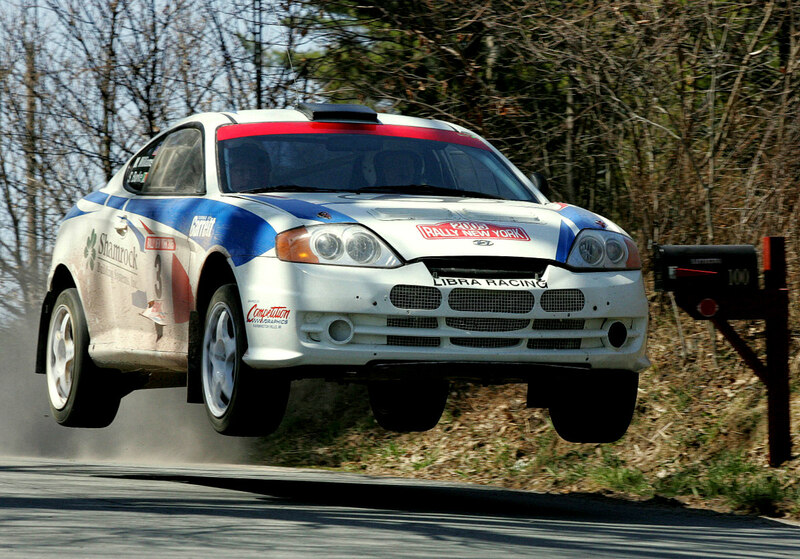 Rally New York Brings Some High Flying Tarmac Rally Action To Rockhill, New York This Weekend. Forestburgh, New York (April 18, 2012) The excitement is building in anticipation of the next running of Rally New York USA on April 21 - 22. Twenty eight teams from the United States and from abroad are on the entry list for the Rally New York USA (www.RallyNewYork.com). In spite of the economy, the number of teams entered exceeds the number of entries in the previous running of the event. The event is one of the only two tarmac championship rallies in the United States. This is an all new tarmac event in a new location. All new special stages are located in Rock Hill and Thompson, which include a unique 17-mile tarmac stage and a super special stage at Monticello Motor Club. This new event is taking over the established name of Rally New York USA and is located in Rock Hill, New York. The rally is presented by the Rock Hill Business Association and it is hosted by the Rock Hill Fire Department. Rally New York USA is the first round of the 2012 United States Rally Championship (USRC) (www.usrallychampionship.com). 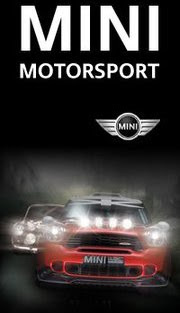 Each day is a separate round of the 2012 New York Rally Championship (NYRC). This all-tarmac rally includes 101 miles of special stages in the beautiful southern Catskill Mountains merely 90 miles northwest of New York City. Over ninety percent of the stage mileage consists of entirely new special stages. The total length of the two-day event is 273 miles. A prize fund guarantees that each team finishing in top 30 percent of all finishers, including at least one Production Cup car and one two-wheel-drive car, will receive prize money. Notable entries are Charlie Donnelly, who won this event in 2010, and codriver Barry Smyth, Joseph Burke, who took a second in a gravel International Rally New York in the past, and codriver Alex Kihurani, Matt Gottlieb and Austin Gager who are the winners of the last year International Rally New York, and Michael Reilly and Josh Benthien, the 2011 Two-Wheel-Drive (2WD) United States Rally Champions who now appear in an all-wheel-drive car. In two-wheel-drive, there are accomplished tarmac specialists Brendan Brosnan and Tommy Commane who travel to this event all the way from Ireland and a Canadian-Irish team of Donal Crooke and Noel Joyce. Another driver of note is Erika Detota, the 2010 2WD United States Rally Champion who is entered with a new codriver Gregorz Dorman. Three new local teams participate in Rally New York USA with generous sponsorship from Robert Cella, a retired engineer and a Rally New York radio operator. They are the teams of Hollen Groff and Allison Hirsch, Sid Sareen and Tim Oliver, and Rory Gardiner with Brian Johnson. The United States Rally Championship is taking bold steps to make national competition more affordable and accessible to a larger number of rally teams. This is the sixth season of the Championship structure that minimizes or, for many teams, eliminates the need for repeated cross-country travel during the Championship season by providing competition on each side of the country. The final round of the Championship at the end of the year counts both in the Atlantic Division and the Pacific Division and together with the results from all previous rounds decides the top spots in the Championship. Any championship team competing in an out-of-division event receives a free entry. Most events in the United States Rally Championship allow for reconnaissance of the rally course. Rally New York organization also presents the second tarmac event – Rally Delaware that is scheduled for August 24 – 25 and the International Rally New York on October 23 – 24. This gravel event is the final round of the 2012 United States Rally Championship. All Rally New York events are conducted according to the international rules with two-pass reconnaissance and pace notes.